At first glance this photograph of a fisher woman baiting lines has little to connect it to the War. 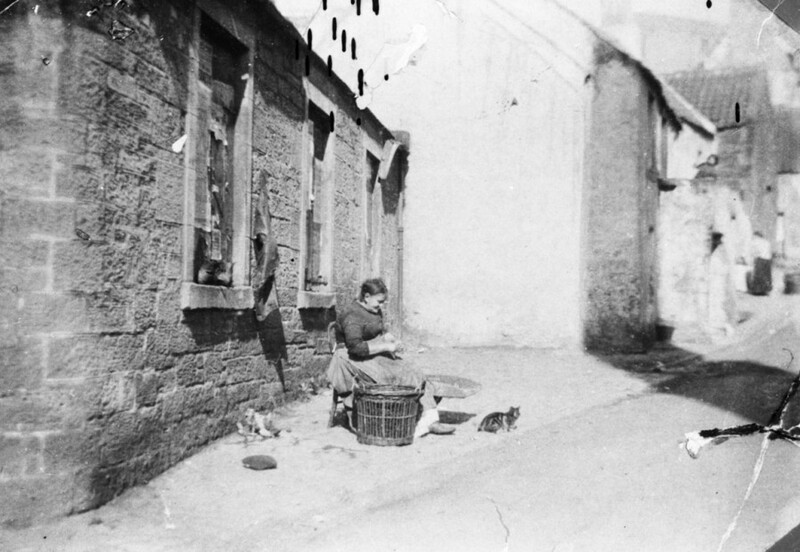 In fact, the ordinary looking building she is sitting in front of houses an army billet. Although fishing continued during the war, everyday activities could not avoid some aspect of the conflict.